"We were in Guatemala in 1997 with Habitat for Humanity's Global Village program. Someone on our team dumped a load of dirt on a farmer's coffee bush, the farmer got mad and made us quit working on the house. We'd flown from the U.S. to Guatemala to carry out this assignment of building a house, so what were we to do? "While the farmer and local Habitat coordinator discussed the fate of the coffee plant, the team sat in the shade and talked about coffee, of course. How much coffee is produced from that little tree? How much does he get paid for it? How many other families in this region depend on coffee as their main source of income? After an hour and a half of discussion between the farmer and Habitat coordinator, a truce was struck, and the farmer let the team return to building with the assurance that no more dirt would be dumped on his plants." So explains Bill Harris, co-founder of Cafe Campesino. Though the house got built and the team came home, Bill couldn't let go of those coffee questions and jumped on the internet to find some answers. Bill’s research showed him that coffee farmers all over the world were exploited. The price that the New York Stock Exchange assigned to coffee didn't take into consideration the economic burden or reality of the individual coffee farmers. Coffee farmers get about a pound of green coffee from each bush they have - that means hand picking and selecting roughly 2,000 coffee cherries per bush. That doesn't amount to much, because most farmers have fewer than 10 acres of coffee trees. At the time, the farmers received only about 50 cents per pound of coffee produced, and millions of families depended on coffee as their main source of income. This did not make for a very fair or sustainable relationship. A sliver of hope for fairness in coffee trade leads to the formation of Cafe Campesino. Far away from the NYSE, a few coffee farmers decided they wouldn't live beholden to U.S. prices and grouped themselves together to form cooperatives that could get fair prices for the coffee they worked so hard to produce. Enter an alternative trading system. One that turned the existing supply chain on its head and took into account the needs and work of the producer rather than looking for ways to exploit him. What if there were a way for commodity buyers and sellers to treat each other like decent human beings- who deserve the respect and kindness of each other? Cafe Campesino's role would be establishing long-term relationships with these farmer cooperatives, buying and importing their green coffee, paying them a fair wage, and selling it to roasters in the U.S. who wanted to know more and work in partnership with coffee farmers. 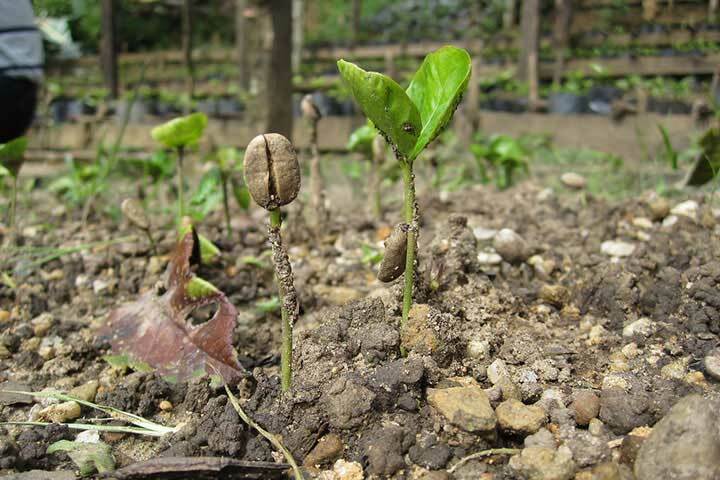 That's how, in Americus, Georgia, the United States' first and only fair trade, organic purchasing cooperative for green coffee beans was born (Cooperative Coffees). Bill journeyed back to Guatemala in August of 1997 to shore up relationships with coffee farmers and guarantee sales for them – at a price that was substantially higher than that that was set on New York’s coffee commodity market, the New York C, which still determines the international price of green coffee (far removed from the actual costs at origin). By January of 1998, with the supply side cemented into place, the focus shifted to pitching the idea to specialty coffee roasters who might serve as buyers. Cafe Campesino (which derives its name from the Spanish translation of “coffee from a small farmer”) saw its first real transaction in March of 1998, when it imported its first 40,000 pound container of green coffee and began selling it to coffee roasters all over the eastern United States. Cooperative Coffees is created to work directly with the coffee farmers. After about a year of importing coffee one container at a time, Cafe Campesino was suffering from a lack of additional capital. It was also inspired by the organizing capacity of small farmers at origin. So Bill and his small team decided it was time to approach other values-driven coffee companies and ask them to form a purchasing cooperative – similar to what farmers were doing at the producer-level. In November of 1999, seven coffee roasters (including Cafe Campesino) met in Atlanta and formed Cooperative Coffees. Most of the founders were Cafe Campesino customers and all embraced the idea of cutting out a middleman in favor of collectively owning an importing company that would only deal directly with small scale farmers. These like-minded roasters made for an ideal setup. The purchasing cooperative (which now has 24 members!) mirrored the coffee producing cooperatives and offered more buying capability to boot. On a personal level, the roaster members were happy to belong to a group of like-minded businesses. Since most of Cafe Campesino’s revenue was associated with green coffee sales rather than roasted coffee sales, the shift to cooperative purchasing made for a rocky adjustment. But, with help from a series of part-time folks, it rocked along through 2000 and developed its website and wholesale customer base. In November 2000, a recent college graduate who recently returned to Americus following a Habitat trip to Sri Lanka and India became Cafe Campesino’s “first hire.” For the next two years, Cafe Campesino pursued partnerships with non-profits (an element still in practice today), and built up its wholesale and retail business (also in practice today!). Cooperative Coffees, meanwhile, was handling the importing needs quite well and growing at a rate on par with Cafe Campesino. It was time for Cafe Campesino to take the leap into becoming a bona-fide coffee roaster, and there was no better candidate to carry out this gargantuan task than Bill's brother, Lee, who trained at the New England Culinary School. Lee had been the chef and co-owner of a successful restaurant in Tallahassee, but he was unable to resist this ultimate challenge. He jumped at the invitation, returning as a new partner and master coffee roaster in the business. Lee's presence allowed Cafe Campesino to move away from its previous practice of toll roasting, where the process is contracted out to another firm. To accommodate the change, the crafty Harris brothers renovated an old World War II Quonset hut (conveniently located down the street from Cafe Campesino's original office) into a coffee roasting facility. Lee was dispatched to visit a roaster manufacturer in Clearwater, Florida, for a crash-course on roasting, and to purchase a 15 kilo roaster. Already accustomed to working around heat, ovens, and food-oriented machinery, Lee saw his new job as a not-entirely-new challenge. “Roasting coffee isn't easy,” he explained. “The learning curve is in coming to understand what happens during the process and then manipulating and tasting the final result.” Basically, Lee took to the new roaster like some guys take to a new set of golf clubs. Friends suddenly stopped hearing from him, and his social schedule consisted of nights and weekends running thousands of batches of coffee through the roaster in order to learn how timing, moisture, countries of origin, and freshness played into the range of flavors and nuances. Lee's constant and meticulous tweaking of the roasting process paid off: the quality of Cafe Campesino's coffee was recognized by our peers and our customers for its high quality, earning us a solid, loyal customer base - all of whom absolutely loved our brews! The quality of the coffee beans, coupled with Lee's finicky chef demands had clearly put us in a new league. Oh, and Cafe Campesino was then the first and only fair trade, organic coffee roaster in the state of Georgia, really making history. A longtime friend of Lee's with substantial experience in international consulting and business management was invited to become part of Cafe Campesino's team in mid-2004. Tripp Pomeroy tackled general management responsibilities - including streamlining sales, marketing, and public relations duties, and effectively handling Cafe Campesino’s continued growth. By 2005, Cafe Campesino was able to look beyond its own daily functions and deepen its partnerships with farming cooperatives. Bill, Lee, and Tripp visited the Santa Anita Cooperative in Guatemala. This was a first for Lee, who was struck by the generosity and hospitality of the farmers. Seeing the other part of the operation made him even more proud of his role at Cafe Campesino. Bill and Tripp would go on to Xela, Guatemala, the site of the annual meeting of Cooperative Coffees and producer partners. Talking, listening, and learning together, the members reached the Xela Accord - an agreement to raise prices. 2006 heralded significant visits from producers in Peru and Colombia, making the relationship between roasters and producers more of a two-sided exchange. The producers could see for the first time how Cafe Campesino processed and marketed their coffees. Lots of things have changed since a wheelbarrow of dirt got dumped on the wrong plant, but a lot of things have stayed the same. As Cafe Campesino continues to change, improve, define and redefine this company, it stands by its original mission of helping to create a system of trade that ensures that the farmers receive a fair price for their product. And it is immensely grateful to all of its staff and customers who have helped make that a reality year after year. Thank you.